Scott Hall, Scott Bigelow, Michael Coulthard et al. DVD: 433 min., Blu-ray: 516 min. Say hello to 'The Bad Guy!' 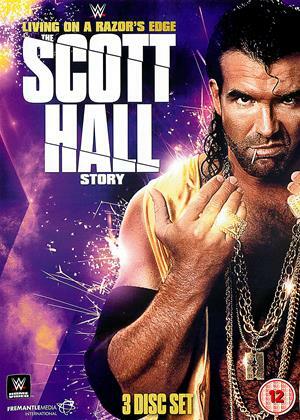 For the first time ever, WWE Home Video sits down with Scott Hall as he takes the WWE Universe on a very personal journey through his entire sports-entertainment career. From his meteoric rise in WWE as Razor Ramon, to being one of the founding members of the notorious group known as the nWo, to overcoming personal demons to become the man he is today, this story of redemption shows that 'it ain't how many times you go down, it's how many times you get up'. Featuring matches with Shawn Michaels, Diesel, 1-2-3 Kid, Bret Hit 'Man Hart', Rick 'The Model' Martel, Sting, Lex Luger, Chris Jericho, Goldberg, Stone Cold Steve Austin, and more!